Well hello there! I am back from an amazingly relaxing 8 day vacation in the Dominican Republic. Vacation was filled with copious amounts of food, sun, rain, sand, exercise, and most importantly, a lot of R and R. It was perfect. I look forward to filling you in on my trip over the next week or so. I took lots of photos. Here is a brief introduction to our trip. The first day we got there it literally monsooned. We took advantage of our balcony and played a few card games while drinking a cold beverage and getting into vacation mode. Most nights we ate at the all-inclusive buffet at the resort but a few nights we made reservations at the hotel’s themed restaurants. 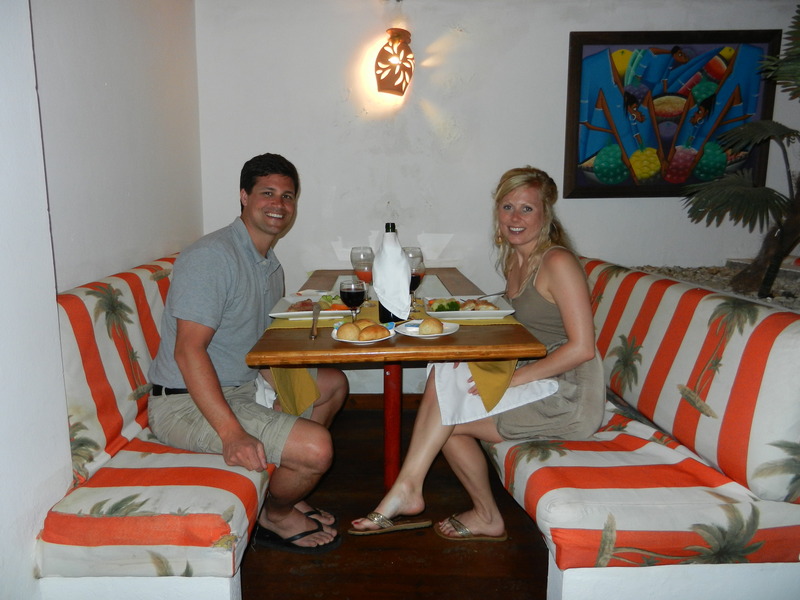 This photo below was taken at the Caribbean themed restaurant. I had fish called Mori or Mauri (?) which reminds me that I want to google it and find out more about what I ate exactly. 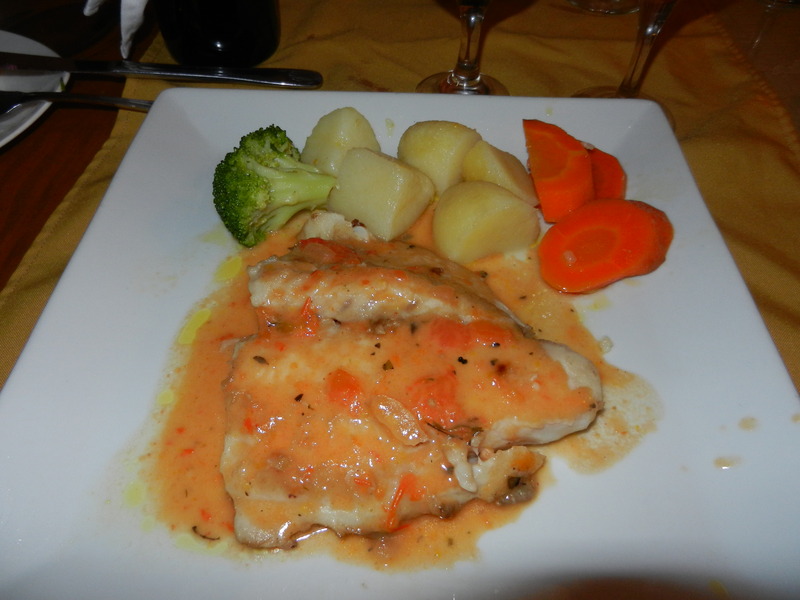 It was a very delicious white fish that did not taste fishy and had a fairly firm texture. While on vacation, I managed to eat a lot of veggies and fruits. I steered mostly clear of the meats as I am very picky with meats plus I don’t know the quality control measures and I am bit weird with that sort of thing–hello food safety MSU. I indulged in fresh breads, pasta, rice and beans, pastries, and cocktails on a daily basis. I have more food photos which I will share later. Every day we did a lot of this…. I am proud to say that we exercised one way or the other every day except for the first monsoon day there. We ran on the beach, went for walks on the beach, hit the “gym” at the resort, or went for a hike. That’s all I’m going to share today. I am off to tackle 5 loads of laundry and apply some anti-itch cream to my bites. I can’t wait to eat my normal foods again. The foods I really missed were peanut butter, greek yogurt, and my mongo salads. We already went grocery shopping this morning and restocked the fridge with all of our good healthy foods. It’s time to get back on track. I am also looking forward to getting back on track with normal workouts. Running on the beach was great and all, but there was only so far we could go plus it’s extremely challenging running in the sand. More on that later. I am out for now. Happy to be home! As much as I love traveling and vacationing, there is nothing quite like coming home. 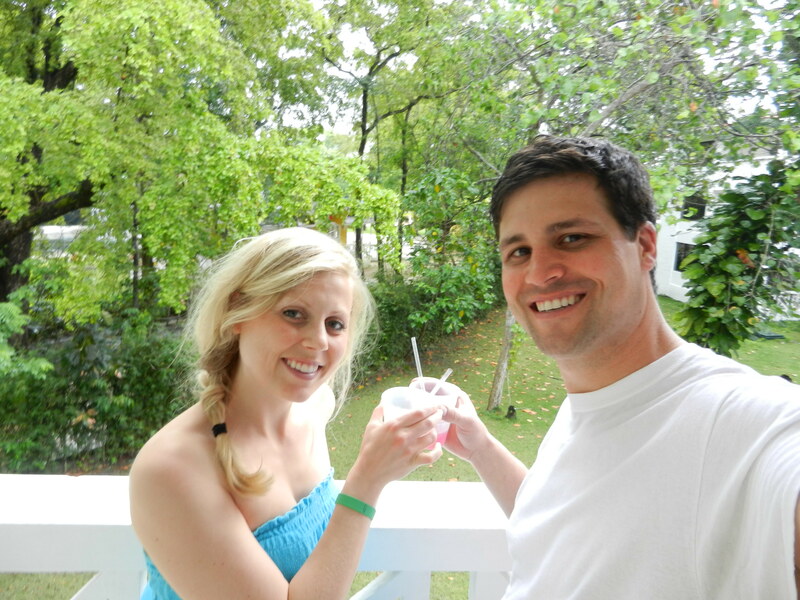 This entry was posted in Vacations, Workouts and tagged Vacations, Workouts by Melanie. Bookmark the permalink. Hello food safety MSU 😉 love! ServSafe Certified baby! =) Hope you are well, Cassie!